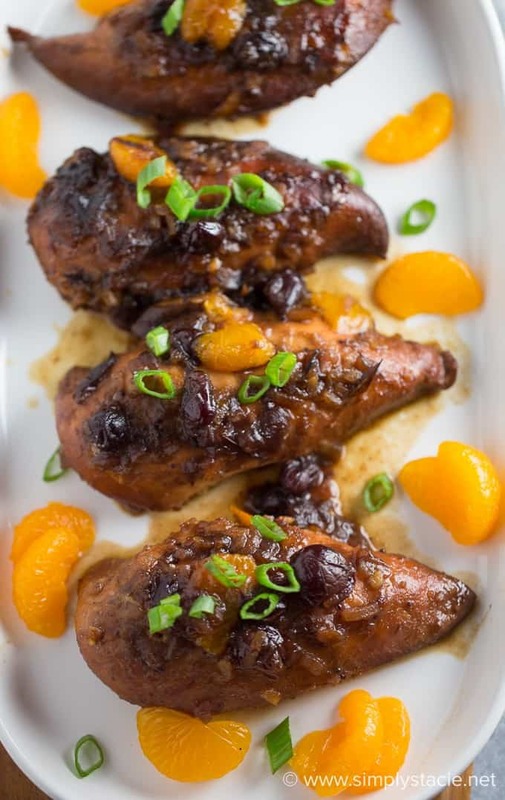 I’m not a big fan of orange jam, but I like it with chicken! I had a jar sitting in my fridge that no on in the house was using for toast. I felt bad for it sitting there alone and unwanted. I asked myself why did I buy it again??? 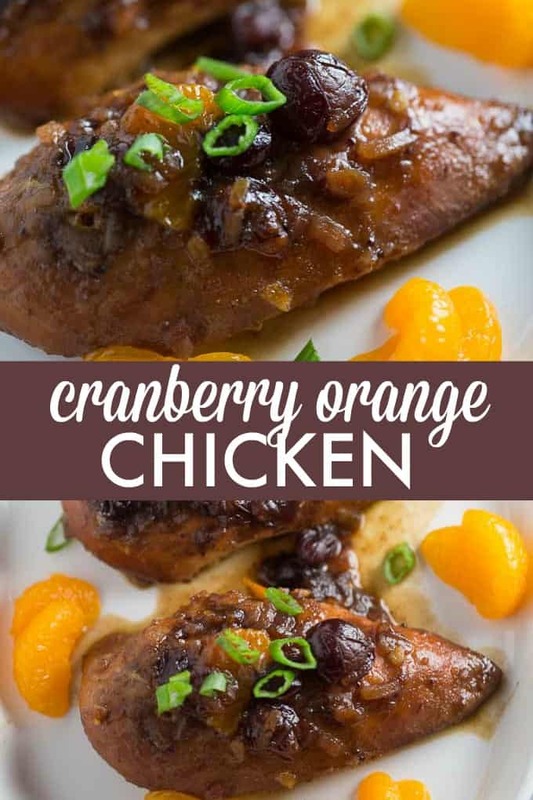 My Slow Cooker Cranberry Chicken inspired me to use some of it up in another easy chicken recipe. The result was pure deliciousness! Orange jam you have redeemed yourself. 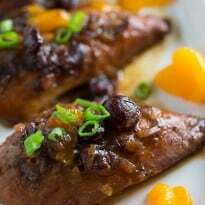 For this recipe, you’ll need cranberry sauce, orange jam, mandarin pieces, onion soup mix and a little balsamic chicken. And yes, obviously you’ll need the chicken, too. Unless, of course, you want to just eat the sauce…. 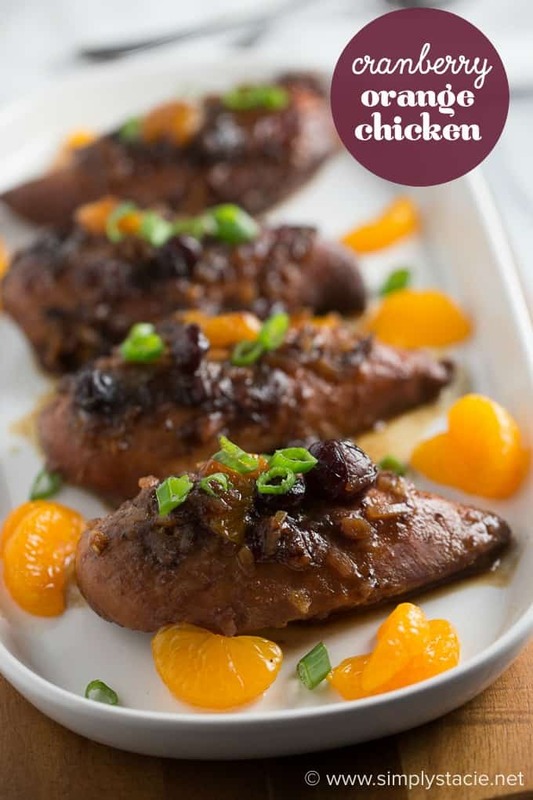 Pile on the sauce and add a few extra mandarin orange slices and green onions to serve. This chicken pairs beautifully with a crisp tossed salad. I have another sweet slow cooker chicken recipe coming your way shortly. This one doesn’t use cranberries though! What are your thoughts on orange jam? Think you’d give this recipe a try? 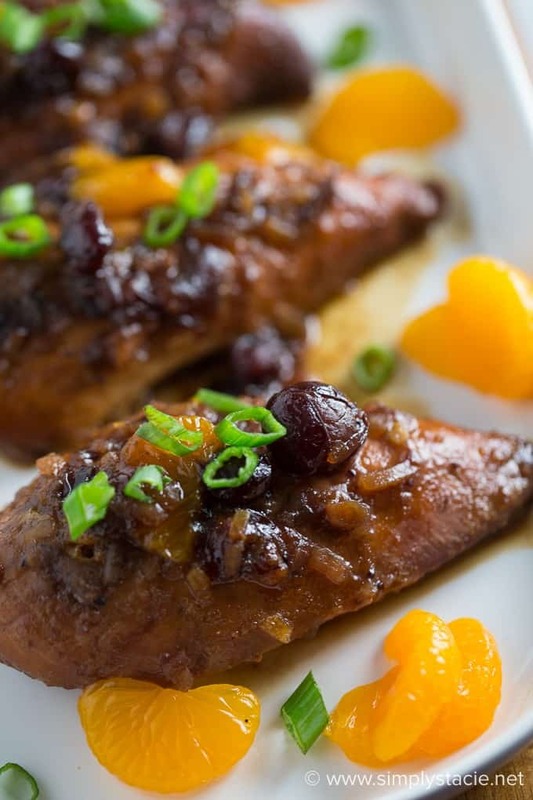 Moist chicken breast covered in a sweet cranberry orange glaze with a hint of ginger. My family couldn’t get enough of this easy recipe. In a medium mixing bowl, combine the rest of the ingredients. Pour mixture over chicken breasts. Cook on high 3 to 4 hours or low for 6 to 8 hours.